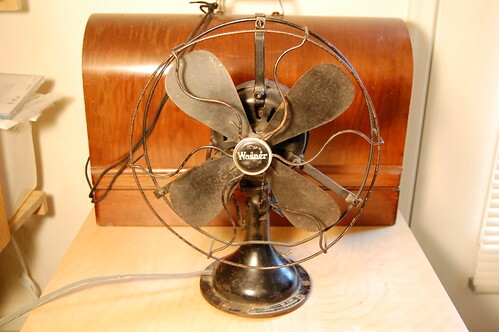 At the electronics flea market, I found another antique desk fan. 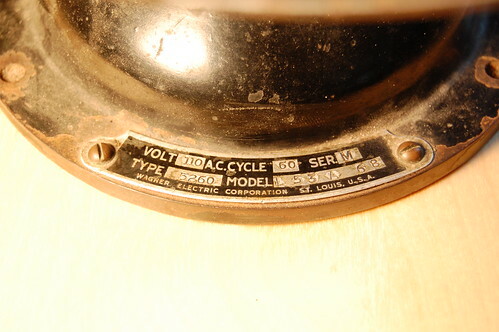 This one is a Wagner 9″ oscillator, series M, model 5260, model L53A68. I am not certain when it was manufactured: my guess is the early 1940s. Here is a closeup of the fan’s nameplate. It has everything except for the date of manufacture. 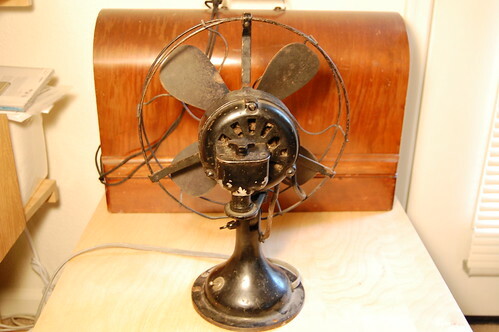 This fan is in reasonably good condition, compared to the Emerson that I restored before. There is very little rust which makes the restoration job much, much easier.